We have been very lucky to have input from two Dementia experts. Fran Hamilton is an occupational therapist at the Brighton & Sussex University NHS Trust. She has shared with our Designing for the Future students her professional expertise about dementia and the day to day challenges it presents. Sharon Marks, on the other hand is a Dementia Friends Champion for the Alzheimer’s Society initiative, Dementia Friends. 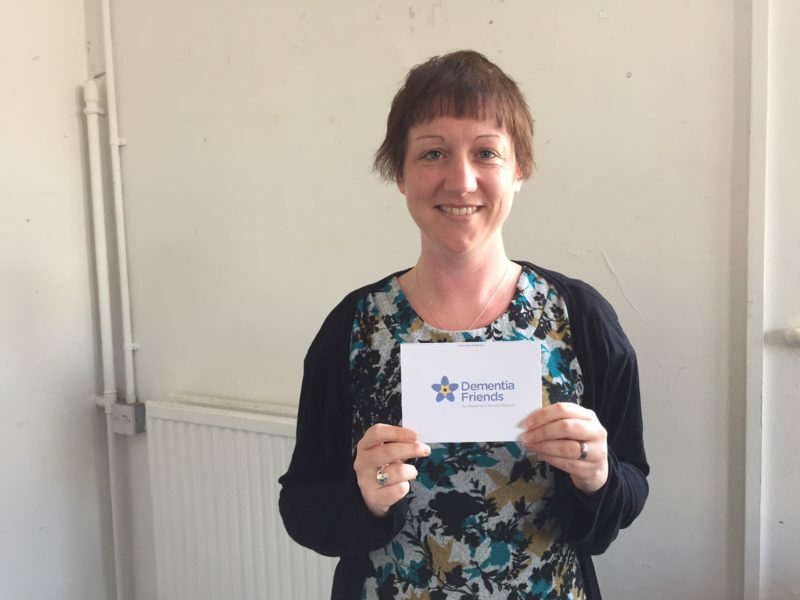 Sharon has been delivering to our Designing for the Future students Dementia Friends Information Sessions where they have learnt more about dementia and how they can help to create dementia friendly communities.